If you think all employers equate age with experience, these statistics will be a rude awakening. Even though the Age Discrimination in Employment Act was signed into law over a century ago, some employers have not been deterred from making employment decisions based on a worker's or job applicant's age. In Fiscal Year 2017, the EEOC received 18,376 complaints about age discrimination (Age Discrimination in Employment Act FY 1997 - FY 2017. Equal Employment Opportunity Commission). Authors David Neumark, Ian Burn, and Patrick Button in Age Discrimination and Hiring of Older Workers (Federal Reserve Bank of San Francisco Economic Letter, February 27, 2017) wrote that, based on a study they did, older workers received fewer callbacks for job interviews than younger workers, older female applicants received fewer callbacks for administrative assistant and sales jobs, and older male applicants were called back less frequently than their younger counterparts who applied for janitor and security positions. The discrimination appears, according to the study, to be more pronounced against female than male applicants. Based on the number of complaint's the EEOC received and Neumark's, Burn's, and Button's research, this law is still very much needed. While most employers don't consider age to be a factor when making hiring and other employment decisions, enough still do. If you're over a certain age—and if you aren't now, you will be some day—pay attention. You may need this law to protect you. The ADEA prohibits employers from making employment and hiring decisions based on an employee's or job applicant's age. The law protects people who are at least 40 years old. It is important to note that the person who discriminates may be the same age or even older than the victim. To be subject to this law, an organization must have at least 20 employees. The Equal Employment Opportunity Commission (EEOC) enforces the Age Discrimination in Employment Act (Age Discrimination. Equal Employment Opportunities Commission). An employer can't decide whether or not to hire an applicant because of her age and cannot discriminate based on this factor when recruiting job candidates, advertising for a job, or testing applicants. A company can't fire a worker because of his age. An employer can't use one's age to classify, segregate, or limit an employee if this will negatively affect her status or deprive her of advancement opportunities. A worker's pay can't be based on his age. 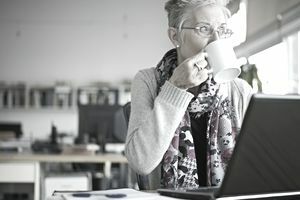 An employer may only take age into account when making an employment-related decision if it is in regard to an authentic qualification necessary for the business's operation. Harassment against an individual, based on his or her age, is illegal, according to the ADEA. An employer cannot enact a policy, even if it applies to all other workers, if it negatively impacts employees or applicants covered by the Age Discrimination in Employment Act because of their age and is not based on a reasonable fact other than age. An amendment to the ADEA, The Older Workers Benefit Protection Act, forbids organizations from using age to determine benefits and targeting older workers when making staff cuts. It also requires employers to follow specific safeguards when asking older workers to sign a waiver giving up their right to sue for age discrimination (Barbara Kate Repa, Nolo). What To Do If You Think You Are a Victim of Age Discrimination? If you have a good reason to believe that your employer or prospective employer is failing to abide by the Age Discrimination in Employment Act, you have 180 calendar days to file a claim with the Equal Employment Opportunity Commission. That time limit is extended to 300 days if your state has an anti-age discrimination law and an agency or authority that enforces it. Go to the EEOC Public Portal to file a charge of age discrimination, submit an inquiry, or schedule an appointment at any EEOC field office. You can also visit any office without making an appointment. The EEOC also accepts phone calls but you cannot submit a claim that way. Have ready any documentation that supports your name, including any individuals who witnessed it (EEOC, How to File a Claim of Employment Discrimination).